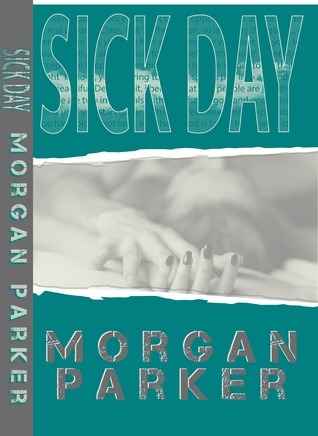 Sick Day by Morgan Parker is an intense and sometimes raw examination of how true love does not always play by the rules. Although the main focus of the novel is the ‘sick day’ Cameron takes to persuade Hope to be his, the novel has a complex series of shifting timeframes where we become party to the couple’s longstanding relationship. Their romance had me tearing up on many occasions due to the wasted opportunities and lost years. There are nevertheless some romantic and passionate scenes between the couple and some humorous moments to balance the angst. It was clear to me that the couple were destined to be together and care deeply for one another but I was left in tender hooks, not knowing whether Cameron would succeed in his carefully choreographed sick day seduction, the poignancy, drama and heartfelt emotions expressed making the book a real page turner for me. He is prepared to give and lose his all in his attempt to make things right after so many wasted years. Yet is he too late to persuade Hope to be his and can she forgive and forget the past? Hope in particular wants to know why Cameron did not contact her after they made a promise to each other. Although both hero and heroine are cheating on their other halves – Cameron has a fiancée who later becomes his wife and Hope has a long term partner, I still found them sympathetic characters. We do not get to know their other halves in great depth (the character of Hope’s partner is a bit of a mystery although that of Riley, first as Cameron’s fiancée and then as his wife is a little more defined) but I did feel for them also as they were very much victims of circumstance. I just HAD to keep reading as I really wanted this situation between Hope and Cameron to come to a conclusion and did feel that they belonged together. I recommend this novel to those who like to read realistic contemporary romances that get to the very heart and soul of relationships. I received a copy of this novel in return for a fair and honest review. This entry was posted in Contemporary, REVIEWS (ALL) - Reverse Chronological Order, Romance and tagged contemporary-romance, morgan-parker, sick-day.